This weekend sees Lyon swell with visitors, making the hypnotic festival of lights the third most attended event in the world after Rio Carnival and Munich’s Oktoberfest. Rooted in the traditional celebration of the Virgin Mary on December 8, nowadays the enchanting spectacle spills across four days. Tea lights placed on window sills cast a golden glow over the city, where more than 50 installations captivate crowds in squares, parks, on bridges and across historic façades. The festival’s push on sustainability means that miraculously, only 0.1% of the annual energy consumption of the city’s urban lighting is used. Keep an eye out for installations at the newly restored Place des Terreaux, which will be transformed into an outdoor cinema with movies projected across the famous Lyonnaise landmark: the Hôtel de Ville. The convention-defying designer, responsible for Madonna’s conical bra and the iconic bust-shaped perfume bottle, breaks the boundaries yet again with this show that takes on 50 years of popular culture. 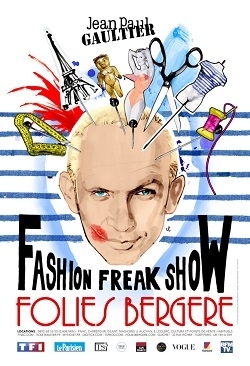 Through a combination of dance, cinema and circus, Gaultier revisits his inspirations in this 15-person performance with a soundtrack masterminded by Nile Rodgers. Since 1979, Rennes’ eclectic musical festival has been reputed for putting some of the biggest names in music on the map: the likes of Björk, Nirvana and Daft Punk played here on their first European tours. Originally a rock festival, now the mixed-tape approach to programming incorporates rap, folk, hip hop, techno, jazz, world music and electro. Expect a diverse array of music from international musicians in the Parc Expo, just outside the city centre. The major rendez-vous celebrating the first snows of the season sees ski champions descend on Val d’Isère, to compete in the World Cup men’s and women’s ski championships. Join in with the animated atmosphere as athletes fly down the pistes. From 9.00 to 10.30 the pistes of Les Menuires in The Three Valleys are open with an abundance of snowy activities for the opening of the ski season. The programme includes a ski slalom, cross-country race and the descent of the flaming torch, as well as concerts, fireworks and fondues. This sophisticated celebration of champagne is anything but humble. This year futuristic flying machines inspired by Jules Verne will parade down the Avenue de Champagne, where illuminated pop-up bars from the grand champagne houses sell flutes of bubbles. Fireworks, musical performances, video installations and art displays ramp up the festivities. Highlights include champagne-themed culinary performances from the region’s Michelin starred chefs, a Christmas-themed dessert competition and a vintage car procession. For 22 years, winter along the river Oise has been welcomed with the jazz festival that takes place in towns dotted along its banks. A range of jazz and improvisation musicians play intimate concerts: highlights this year include flautist Joce Mienniel performing his ethereal melodies during an evening of music and gastronomy at the 13th century Abbaye de Royaumont and experimental jazz group GoGo Penguin in Cergy, December 1. Grenoble’s diverse Christmas markets leave you spoilt for choice. Foodies should head to the Place Victor Hugo where fine food purveyors sell cheese, meats and hot cider. Try a tipple of Chartreuse, the local herbal liqueur brewed by monks. Then there is an artisan market, international craft stalls, music, circus performances and plenty of locally grown walnuts to snack on as you browse. The star-crossed story of Shakespeare’s most famous tragedy is translated into dance, set in the sumptuous surrounds of the Palace of Versailles’ Opéra Royal. The Italian-inspired setting lends itself perfectly to the Veronese plot, the choreography for which Ballet Preljocaj was awarded a Victoires de la Musique in 1997. The seat of the Plantagenet family and home to the impressive Château d’Angers, Christmassy festivities take over the town in the form of fanfare parades, a glittering Ferris wheel, carousels, Santa’s grotto, an ice rink and wintery gift stalls. Shop for stocking fillers or simply enjoy the fairytale ambiance of Anjou’s medieval capital with a mug of steaming chocolat chaud. The lights of Christmas transform the French capital from the end of November until the New Year. The Champs-Elysées dazzles with grand lighting installations and all Paris’ districts from Place Vendôme to Saint-Germain-des-Prés have their annual lights-on celebrations. Ritzy department stores Printemps Haussmann, Galeries Lafayette and BVH Paris curate beautiful window displays and a 300-stall Christmas village comes to the esplanade of La Défense. A little outside the city, festivities of a gourmand nature take over the Château Vaux-le-Vicomte, where gingerbread and candy canes adorn ceremonial rooms. Winter is the season of France’s favourite mushroom and sees a flurry of truffle-related activity across Dordogne and Provence. Over 70% of the aristocratic fungi are grown in the Vaucluse region, grown most commonly around hazel and oak trees. In Provence, trufficulteurs descend on the Knights Templar village of Richerenches. The woody smell of truffles pervades the market, held in the l’Avenue de la Rabasse (truffle in Provençal) where connoisseurs sell, sniff and talk truffles. Tastings of omelette made with freshly dug-up truffles are a highlight. Gaillac is twinned with Zigong in Sichuan province, hence the town hosts the largest festival of Chinese culture in France. 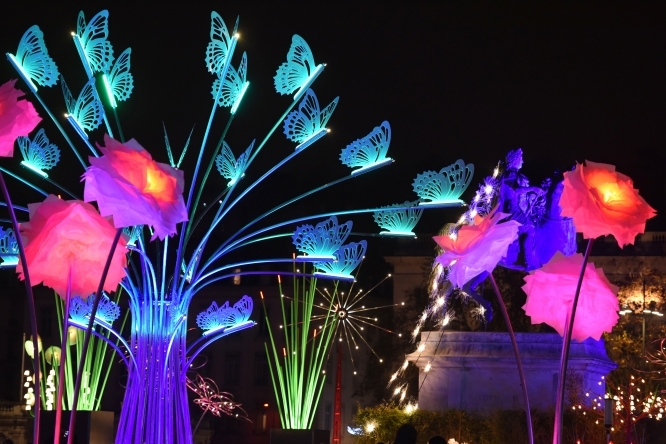 Among the 500 illuminated sculptures on display, a glowing bamboo forest lights up the night, there are performances of traditional Sichuan dance, a lit up ‘sky temple’ and a Franco-Chinese Christmas market, as well as a multitude of Chinese food vendors. 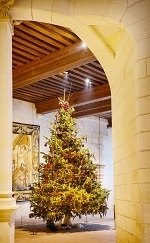 During the festive period, the magnificent chateaux of the Loire Valley transform into real-life fairytale castles. Famed for its double helix staircase and Renaissance architecture, the Château de Chambord is even more spellbinding when fires crackle in the hearths and a myriad of lights adorn its interiors. Renaissance theatre evenings, (December 15-16; December 22 through January 6) costumed characters and traditional games such as Louis XIV billiard and troll-madam all take place beneath the Christmas tree, at no extra cost. Expect illuminations in the impeccable French gardens and an elegant display of Christmas trees inside the château designed by prestigious French brands. Meanwhile, Château d’Amboise celebrates 500 years of royal festivities with a programme of musical events named “Christmas through the centuries.” The oldest Christmas market in Western France arrives in the grand salon of the Château de Brissac and local artisans set up shop in the feudal wine cellars of the Chateau de Brézé, offering tastings of the region’s fine wines. This is Europe’s oldest Christmas market dating back to 1570. Previously the market was held on December 6 called a klausenmärik (Saint Nicolas market) but became a christkindelsmärik when Alsace became Protestant. 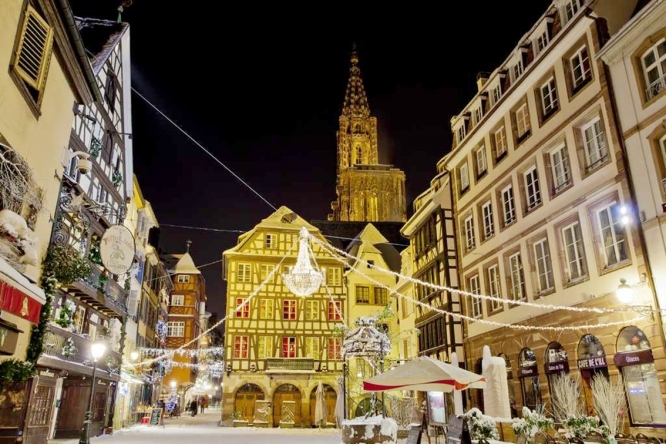 Over 300 wooden chalets dotted about the twinkling town sell artisan gifts, stocking fillers and serve the hearty traditional fare of the Alsace region. Chandeliers and festoons of lights illuminate the streets of the Grand Île, which come alive with concerts, nativity scenes and the towering Christmas tree that sparkles in the Place Kléber. Get your skates on at the ice rink before warming up around a cup of hot Riesling (glühwein) and soaking up the cinnamony smell of Christmas with some homemade bredele biscuits. The Connexion works with local tourist offices for the information on this page. Due to possible last-minute changes to programmes and event timing we recommend that you always check with individual organisers before making a trip.